Shirts With Random Triangles: Tray Matthews is an ex-Georgia Bulldog following dismissial from team. 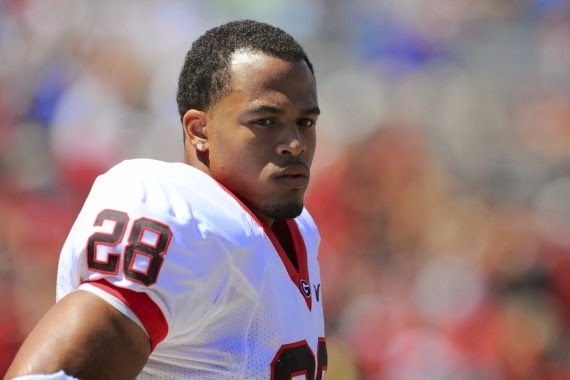 Tray Matthews is an ex-Georgia Bulldog following dismissial from team. Tray Matthews is an ex-Georgia Bulldog safety. The team dismissed Matthews on Tuesday. “We are trying to make room for guys who want to do things right,” coach Mark Richt said in a statement announcing Matthews’ removal from the program." Matthews responded to the dismissal on Twitter. Matthews was one of four Georgia players that had been arrested prior to the start of spring practice in March on charges of "theft by deception" for alledegly attempting to cash stipend checks from the school after they had deposited them via a banking app. Matthews told Marc Weiszer of the The Athens Banner-Herald that Auburn and Louisville are two of the teams he is considering transferring to.